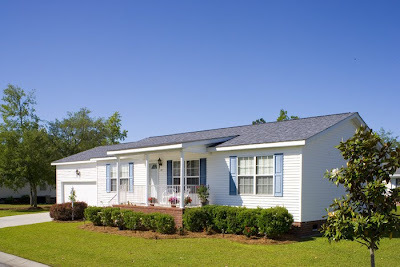 It is important for prospective buyers in a manufactured housing community to understand the benefits of the “land lease” concept before they become residents. Because the majority of prospective buyers have owned their own homes and land, there is a natural assumption that the two are inseparable; that it is better to own your own land and unwise to build a home on land you don’t own. Leasing land is a totally new concept to many even though it has worked for Jensen customers for decades. And because people are unfamiliar with it, they are initially wary of it until they learn more. 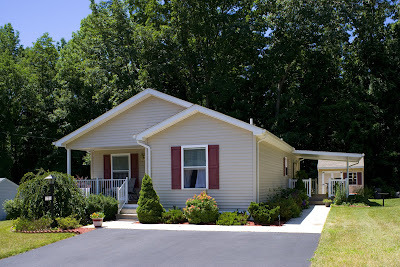 What many people don’t initially appreciate is that a Manufactured Housing Land Lease Community (MHLLC) is able to give you more home for your dollar exactly due to the land lease. By owning your own home and leasing a home site, you are able to get a dramatically better lifestyle for less. You get more home, a private community with amenities, and the best neighborhoods for the money anywhere. The desire to purchase both home and land is driven by past experience and the absence of a true, in-depth understanding of the multitude of benefits associated with leasing and private community living. Jensen communities’® approach is integral to our mission to ensure our residents enjoy the comfortable, carefree lifestyle they seek. It delivers value and significant advantages that far outweigh any perceived disadvantages. Without the land leasing arrangement, Jensen Communities would have to sell homes at much higher prices that would include the cost of the land and development. The land lease also allows for common services and recreational amenities to be used and paid for by the entire community. And very importantly, the land lease establishes Jensen as the manager for the community so residents don’t have to manage it themselves to ensure a high standard and protect their investment and ongoing enjoyment. More and more homeowners (especially “Boomers”) have experienced, or are at least familiar with, leveraging their home equity to improve their lifestyle. Whether consolidating bills, paying college tuition, buying a new car or making home improvements, they understand the advantages of putting their equity to work rather than having it sit idle. Similarly, Jensen home buyers achieve greater value because they are not burdened with adding the cost of the land to their purchase price. They can buy more home with more of the special amenities they desire and often bank a surplus that can be saved as a nest egg or for emergencies. This is especially appealing to our customers who are generally living on a modest fixed income. For most people, home and property ownership is really nothing more than a perception. In reality, no one with a mortgage truly owns either until the mortgage is fully paid off. But despite this fact, even with huge 30-year mortgages, people view themselves as “home owners”. So why such a fuss about buying the land your home is built on? This desire is really based on a perception. When this is clearly understood, freeing capital and improving lifestyle through land leasing makes absolute sense. One of the biggest concerns often expressed is “What if the land my house is built on is sold to someone else?” Jensen’s core value is its integrity. We’re not in the business of building communities to turn around and sell the property upon which they’re built for another use. In over 80 years in the business, we’ve never done it and have no plans to do so in the future. Quite to the contrary, prospects view our collective investments as an extremely positive benefit. Naturally, it’s in Jensen’s best interest to protect our investment by creating and enforcing rules and regulations designed to ensure a quality lifestyle for our residents and keep them as long term customers. It’s these rules and regulations that ultimately guarantee a resident’s high level of satisfaction. Homeowners have an equal incentive to keep up their home and sites to maximize their investment and enjoy the pride of owning their own home. Without our collective investments through land leasing, we would be unable to maintain (and guarantee) the high standards we’re all so proud of, and that have become the hallmark of our success. Leasing the land means Jensen does the heavy lifting. People who have owned their own home know that it comes with responsibilities: grass, trees, shrubs, wells, septic, water and sewer services, power lines, driveways, foundations, walls, and fences all mean maintenance and eventual replacement. While residents are responsible for their own homes and typically some site maintenance, Jensen’s does the most burdensome of it so that they can enjoy the more enjoyable aspects like flower or vegetable gardening. There are no extra payments or special assessments for replacing a driveway or removing a tree when that is needed. Leasing land in a MHLLC provides great value for our customers. The advantages, in terms of an improved, carefree lifestyle alone, far outweigh any initially perceived disadvantages. One thing not to overlook while investigating a retirement home is your future neighbors. Since an enhanced lifestyle is usually a motivating factor in making a move, you want to make sure you find the people to enjoy it with. Are your future neighbors at your same activity level? Will they be exercising outdoors or inside with a Wii? Will they be ready for a 7:00 AM Tee Time or readying the paper on the couch (not that there is anything wrong with that)? Are you likely to find fellow golfers, bikers, fisherman, tennis players, runners, walkers, gardeners, wood workers, or other people interested in the same activities you like to or plan to pursue? Meeting new and interesting people will greatly increase your satisfaction and acclimatization into your new home and community. Simply look for enough people to do what you want to do and at the level you want to do it. Part of the people decision is whether or not you want to move to a community with an age designation. Bt law, communities must either be open to all ages, 55 and over, or 62 and over (age designated communities have additional requirements per Fair Housing Law). If you are looking for more peace and quiet, a 55 and over community will provide more consistency. If you like to see more activity and have regular interaction with families with children, you may find an age restricted community too sedate and prefer one for all ages. If you are moving to a new area, a 55 and over community may help you to meet more people at your stage of life than you would otherwise. People move to a specific location in part to be near what they want to do. If winter sports are your thing and you want to be around others who enjoy them, the northern climates will be just for you. Many really enjoy not owning a winter coat so they can be outdoors for most of the year. Other location options include being on a lake, ocean, bay, near a college or university, military base, small town, major city, or in a “transit oriented” community so a car is not needed. The decision you make on where to live will tie you in to the people you want to enjoy. It may be obvious but boater may want to be near other boater, golfers near other golfers, crafters with other crafters, hikers with other hikers, scholars with other scholars, etc. Good rules also make good neighborhoods. Everyone does not enjoy living on a smaller home site in a retirement community when they have owned a large home on a three acre lot all their lives. Have a good understanding of your future community’s rules and regulations so that you will be comfortable in following them once you’ve made your move. The positive aspect of having sound rules is that everyone and especially your next door neighbors know what to expect. You don’t want hassles with your neighbors; the community owner or home homeowner’s association should be ready to solve the problem should one arise. 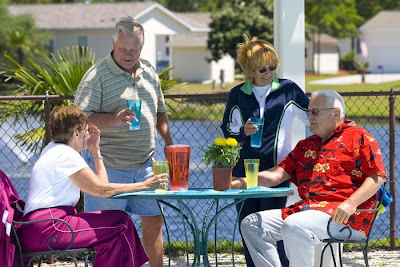 Jensen communities® offer some of the best neighbors around. They are a real added bonus to great homes in great neighborhoods. 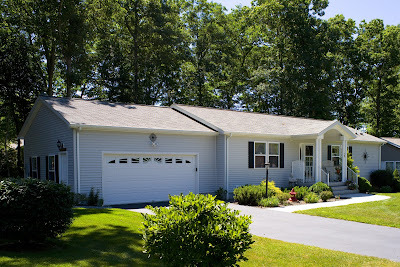 See for yourself at http://www.jensencommunities.com/. Over decades in the manufactured housing land lease community business, Jensen has helped people to simplify their lives without having to compromise on living in a single family detached home. When most people think about comfort, privacy and independence, they want to live in a single family home with a little space around them and their neighbors. Early in life when we need the room and have the energy and money to afford it, a large home on a big old lot is just what the doctor ordered. As time wears on, we can become slaves to that large home and big old yard. It’s hard to keep that feeling of independence when you’ve painted, cleaned, raked, replaced, caulked, trimmed, planted, washed, paved, and installed things for the umpteenth time. It can wear you out. And with the children now gone and the neighborhood changing, you begin to dream that there may be a better place and way to live. It is time to be proactive. Look around at your alternatives and take control. You need to get back to owning your house and not letting your house own you. We are all entitled to decide how we want to live a more independent lifestyle. This means very different things to all of us. Some may desire to slow down at work but still keep working in a reduced capacity. Some may want to retire but volunteer with a nonprofit they have never had time to support the way they would like. Others may want to work part time but pursue a lifelong passion by learning to fly fish, built their own sailboat, learn to speak a new language and travel, anything their heart desires. And there is really nothing wrong with sleeping late, reading books, and generally taking it easy! The realities of life may also mean spending more time with and caring for an ailing spouse, helping out an aging parent, or providing child care for grandchildren. Moving from a large and high maintenance home to a smaller more manageable home can free up time, money and effort to pursue your needs and/or dreams. You decide on your standards, needs, and desires. You decide on your financial priorities. A very small resale home on a modest lot may be just what one person needs to free up more income but still enjoy a home and yard. A new home with garage, sunroom and upgrade finishes and features may be more suited to a family coming from a larger home and perhaps still planning on working into retirement. The simplify part generally takes some physical effort to sort out “stuff” but is well worth the effort. The “without compromise” part takes some reflection in order to define your own path and determine what is central to your new lifestyle. The important thing is to decide what is right for your family and then go after it.